I will be your Parent Rep for the upcoming season. Looking forward to some great hockey and fun times for the players and their families. Could all parents please email me at [email protected] their players name, parents names, email addresses and phone numbers. I need these asap as we will be having a get together along with a parent meeting after practice on Saturday Sept 30/17. I will email the details as soon as I have everyone's contact information. Please note changes to Midget teams for this season. Rep, AE and 2 TC Teams will be offered by PMHA . AE Tryouts are posted on the tryout calendar if interested. 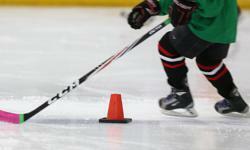 The First TC skate will open all TC players on Mon Sept 18 8:30-9:30pm. Teams will be decided upon through the week with separate ice times to be scheduled for each team. If all parents could come and fill out a contact info page that night it would be greatly appreciated.